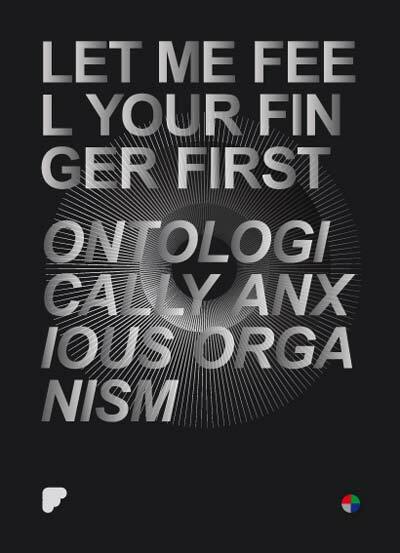 Let Me Feel Your Finger First's Ontologically Anxious Organism, narrates the experience of an anim, nervous about the very concept of character itself, disquises himself as a boulder. The three episodes follow the boulders progress through a series of reconstituted cartoon scenes whilst he grapples with existence, meets his maker and finally slips outside of the space of the picture plane to seek the ultimate reference. Let Me Feel Your Finger First recently exhibited work at the Institute of Contemporary Art, London, the Royal Academy, London, Studio 1.1 Gallery, London, the Whitechapel Gallery, London and at the Seoul International Cartoon & Animation Festival. He was born in the United Kingdom and lives and works in London. DVD featurette includes the performative interview film Der Angstliche Organismus, with Steffan Boje as Uncle Hans-Peter, Mark Jackson and Gary Thomas. Directed by Let Me Feel Your Finger First and Gordon Shrigley.